In a time-poor world and a shelf full of numerous competitors, brands have less than a few seconds to captivate a consumer. Consistent branding is an essential component of success. If key brand colours are unidentifiable across ranges or logo position constantly varies, it becomes extremely difficult for a consumer to recognise. Successful packaging design will clearly define the brand at a glance, it will have a cohesive look that offers a tweak in colour palette, pattern or image to show a difference in the product range. 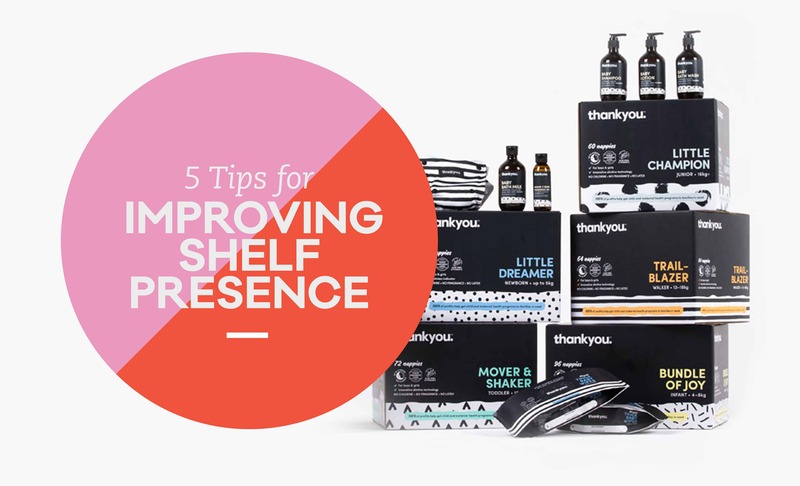 A unified brand speaks volume, working in harmony to create powerful shelf presence. In a time-poor world, trying to communicate too much within the limited space can overwhelm consumers and potentially force them to glance at a competitor. Understanding the power of restraint is essential, successful packaging will have an identifiable KEY message and communicate this in its simplest, most effective form to ensure maximum impact. Does your brand tell a unique story? Or does it fall into a trap where it easily blends in with an array of products already on offer? A distinct brand personality can help a product stand out from competitors. Brand personality can build confidence, can create excitement or build desirability. By assigning personality a consumer can connect with, a brand is building emotional drives that can encourage consumers to pay attention, and more importantly, take action. Leading brands influence consumers. By using opportunities like social media channels, a brand has the power to promote a product before the consumer even reaches the store. Recognition is a powerful tool, it has the ability to make the consumer stop and maximises the chance for the brand remain top of mind. Statistics show that 1 in 5 baskets contain an impulse purchase. Be bold, take risks. A clear point of difference can make a product stand out from the crowd, this may be a difference in shape or height, in colour or material. With hundreds of products competing for the same consumer's attention, unique vital identifiers give products strength and help win engagement. If you are thinking of launching a new product to market or need advice to boost existing packaging shelf presence, please contact our team at Emedia Creative today.